A powerful, portable communication device at a great price! 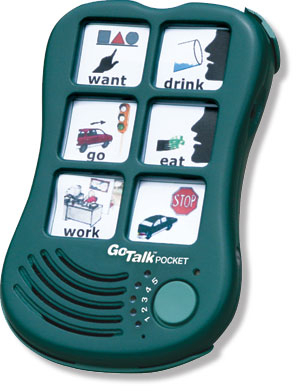 The GoTalk Pocket is lightweight, contoured, and so small it fits nicely in your hand—or your pocket! Includes three AAA batteries. Weight: 7 oz. Recording time: 5 minutes. Gotalk Overlay software runs on Windows XP or higher only.